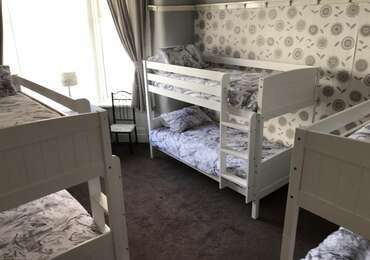 Westbourne House is a 10 bedroomed guesthouse situated within the heart of Blackpool just 100 metres from Central Coach Station (Bonny Street). Ideally situated with the famous Blackpool Tower, The Winter Gardens (&the soon to be built Conference Centre), Blackpool Grand Theatre, Central &North Piers, bars, restaurants, pubs and the Golden Mile all within a few minutes walk. For shoppers the Houndshill Shopping Centre is close enough to regularly drop off your shopping. A quiet road for a relaxing stay or a base to explore the sights! This is a ground floor room with 6 Bunk Beds, TV, table and chairs, chest of drawers, tea and coffee making fertility\'s. 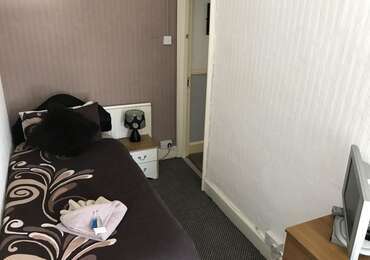 This is a spacious single room with a nice single bed. Rear facing view,TV free-view and tea & coffee making fertility's also has a Tub chair. 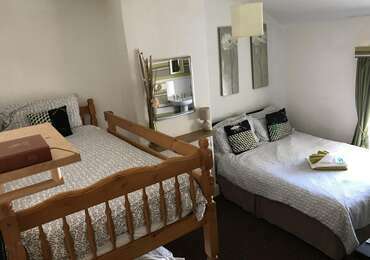 This is a comfortable 4 bed room with a nice double bed and bunk beds.There is a sink in the room with table and chairs TV and free-view also there is tea and coffee making fertility's and cloths storage.